The ARS Zovinar Chapter was established in 1986 in Long Beach, California. The chapter holds membership meetings at members’ homes. The chapter hosted an Annual Regional Convention in 1993. 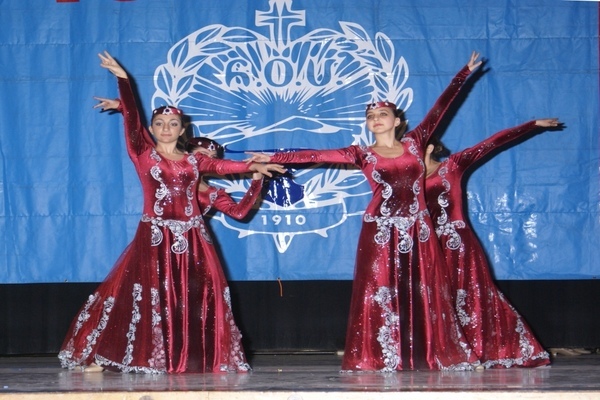 The chapter holds an annual picnic, events to celebrate traditional Armenian holidays, and cultural programs to allow guests to get a deeper understanding about the Armenian culture such as the music, needlework, rugs, costumes and traditional crafts. The small chapter has been instrumental in creating connections with the greater Long Beach community, participating in the Long Beach International festivals and presenting Armenian needlework, music, dance and food. The chapter also sponsored a presentation of the “Beast on the Moon” play by Richard Kolinowski, which was a story of a family, which survived the Armenian Genocide. Following the 1988 earthquake in Armenia, the chapter raised $25,000 for earthquake relief efforts.